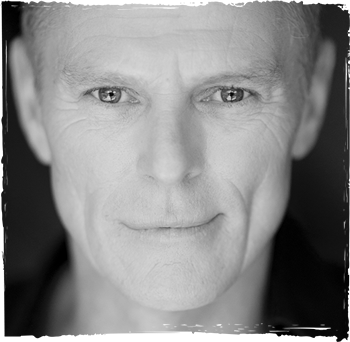 Michael Cormick is an accomplished actor and singer of international standing. He most recently played the title role in The Phantom of the Opera for Free Rain Theatre and Daddy Warbucks in Annie The Musical – Australia. Michael played the role of David on the Channel 10 series Reef Doctors. His other television credits include Don Andrews in Sea Patrol, Preston Walker in City Homicideand Paul Kruger in Bluebird. In 2011, Michael released his first solo album to coincide with his starring role in the Australasian tour of The Music Of Andrew Lloyd Webber. In 2009 – 2010 Michael completed a national sell out tour of Mamma Mia in the lead male role and was invited to perform at the prestigious Carols By Candlelight at The Myer Music Bowl on The Nine Network. Michael’s local theatre lead credits include: The Rocky Horror Show, Cats, Joseph and the Amazing Technicolour Dreamcoat, Grease, Falsettos, Eureka, Sunset Boulevard and the lead role in Beauty and the Beast, for which he received a MO Award. His international roles include The Phantom of the Opera, Calamity Jane, Romeo & Juliet, Chess, Evita, and most recently; End of the Rainbow for the Edinburgh Festival and Andrew Lloyd Webber’s West End production of The Woman in White. Michael has performed in numerous live and television concerts throughout Europe, including Royal Command performances of The Phantom of the Opera and Les Misérables, the Christmas Festival opening at Royal Albert Hall and frequent guest appearances on the Terry Wogan Show(BBC London). He has also performed his own one-man cabaret show, Michael Cormick Sings Burt Bacharach, throughout Australia and at The Ritz and Savoy Hotels in London, to rave reviews.